In 4-quart saucepan, cook pasta as directed on box; drain. Rinse with cold water; drain well. 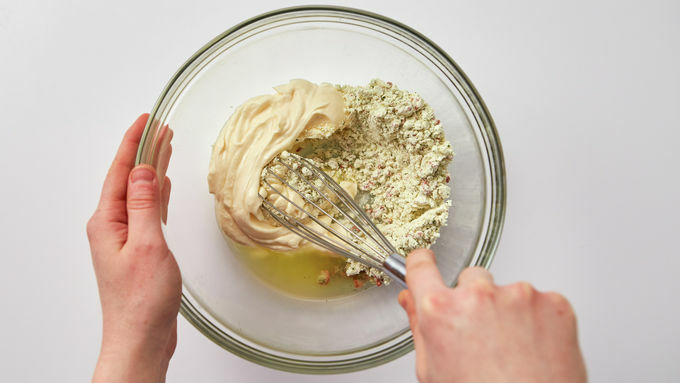 In large bowl, stir together seasoning mix pouches, mayonnaise and lemon juice. Stir in cooked pasta. Spread lettuce on large serving platter. Top with pasta mixture. 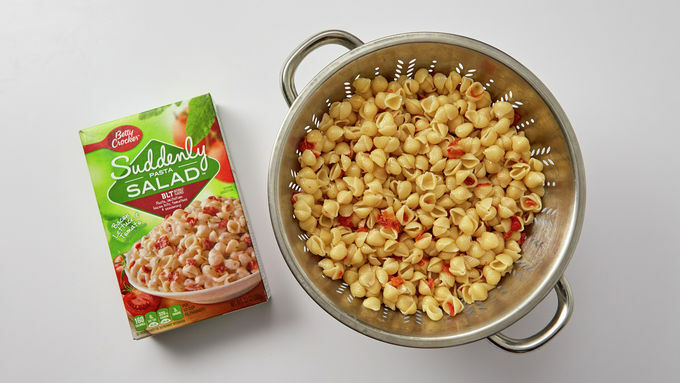 Arrange remaining salad ingredients in rows over pasta. Romaine lettuce has a crunchy texture that works well with the softer ingredients in this salad. If you have diners that don’t care for the stronger taste of blue cheese, feel free to serve it on the side. Our inspiration for this salad was to capture the delicious flavors of a Cobb salad in a meal that even salad skeptics would adore. Thus, Cobb Pasta Salad was our solution. Hearty and crowd-sized, it’s perfect for a summer party. Or, mix it up when you need a make-ahead meal to get you through a busy week. Let us know what you think about this recipe by leaving a comment below. 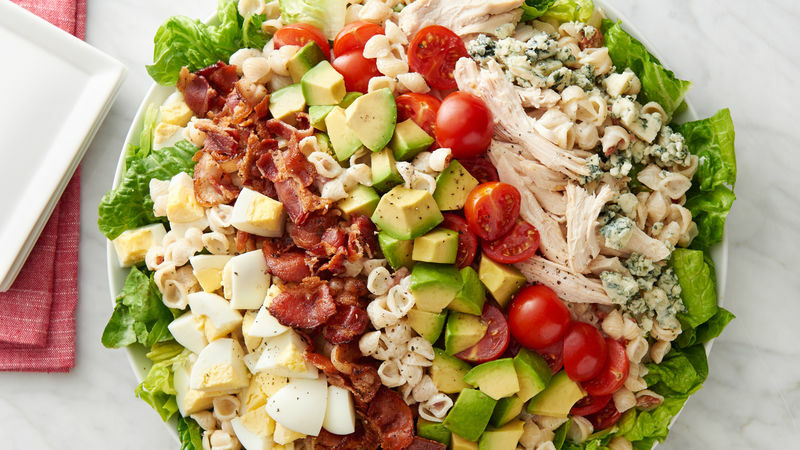 Like so many delicious and time-tested recipes, Cobb Salad was born of resourcefulness. A Hollywood restauranteur, Bob Cobb, invented this salad as a way to use up leftovers. Because few can turn down a salad that includes, among other ingredients, avocados, bacon and blue cheese, it’s been around ever since. Hard-boiled eggs are a key ingredient in this salad. If cooking them to the perfect doneness or peeling without tearing has so far eluded you, learn how to make hard-boiled eggs once and for all with Betty’s handy tutorial. Pasta salad is one of summer’s most versatile dishes, truly. It can be made with nearly any fruits, veggies or pantry items you have around and it’s hearty too. 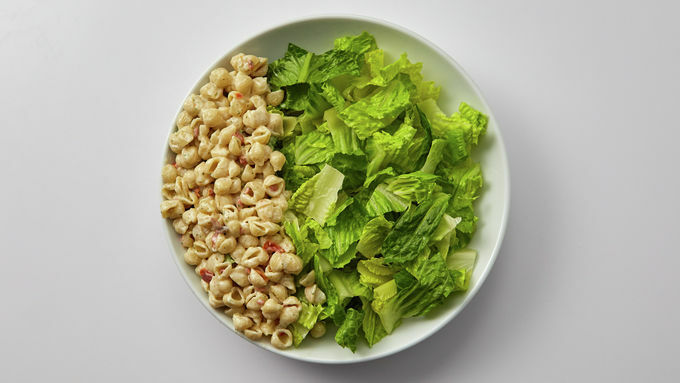 Get all the pasta salad recipes you could ever need.